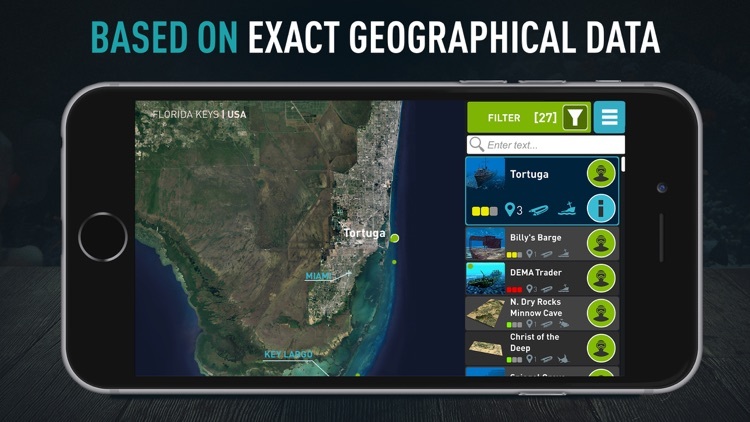 Ocean Maps offers the world’s first interactive 3D maps for scuba divers and snorkelers. 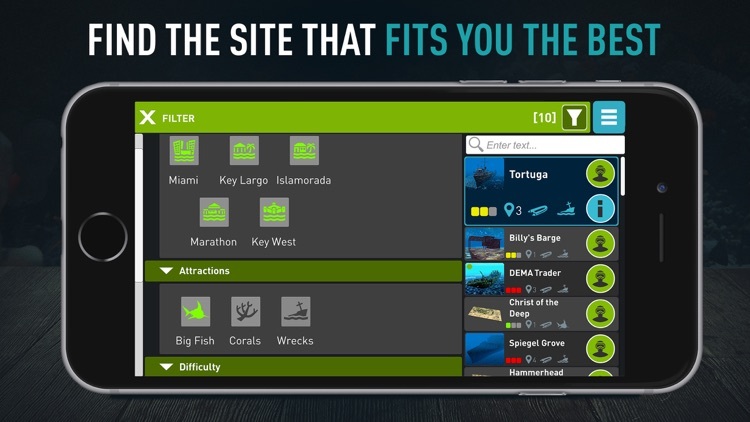 Discover the best dive sites in 3D at one of the most popular areas in Florida: The Florida Keys. 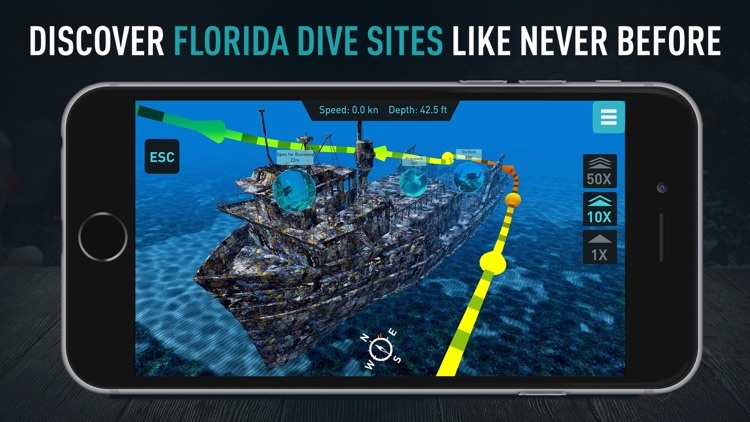 Prepare for your underwater adventure by going on natural-view dive simulations based on exact geographical data. Discover what hot spots and tours are waiting to be explored. Pre-discover dive sites in natural view to prepare for your diving adventures. 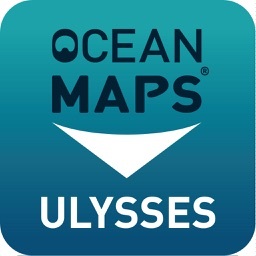 Ocean Maps helps both beginners and professionals avoid common diving issues like disorientation and inadequate planning. Hand-drawn maps are known to have low accuracy, but our maps based on high resolution sonar, video and satellite data ensure the most accurate site visualization. 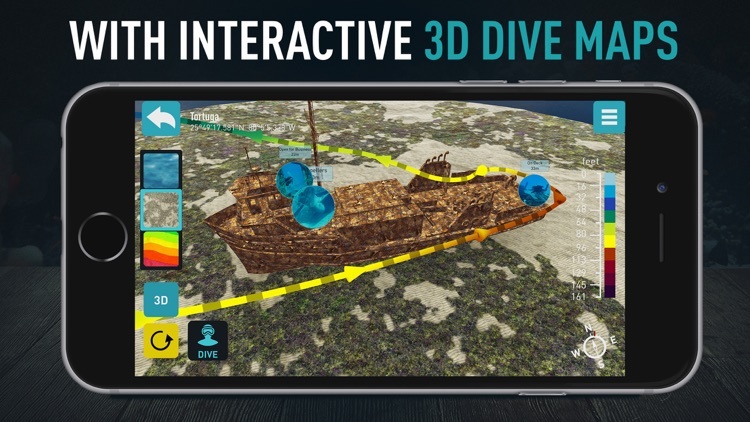 Make use of the interactive first-person 3D dive mode to explore underwater worlds while you remain on firm ground. 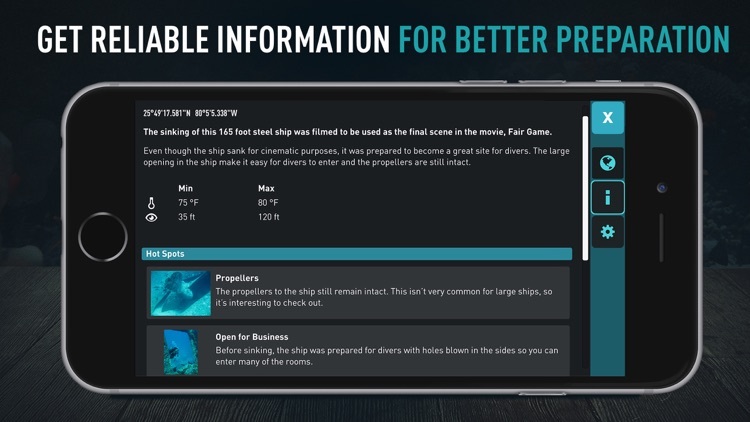 Ocean Maps wants you to dive safely. 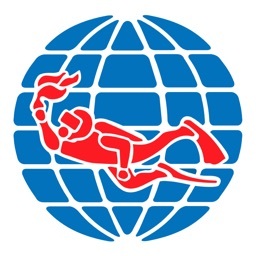 Search for specific dive spots on the main region map based on location, accessibility and level of difficulty. 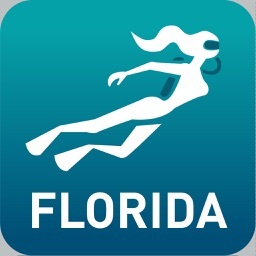 Read the provided briefing information and safety tips provided by regional partner dive instructors. Explore hot spots such as sunken army tanks or shipwrecks. Try a dive into the famous Vandenberg and explore the hidden underwater worlds like never before. New maps of popular sites and updates to existing areas will be added every two weeks. The 12-month subscription will give you access to the content in each exciting update! 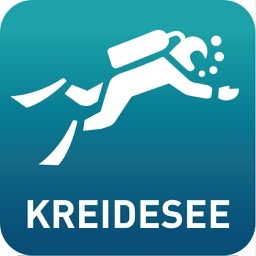 Inspect the reef in different views (3D/2D, terrain, depth and underwater views). 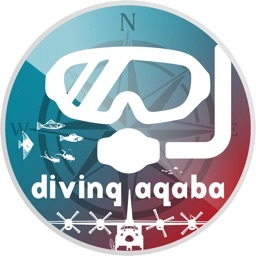 Gather information on the dive site and view photos from other divers. Our maps are complemented by exclusive briefing information, including dive site description, tours and hot spots; provided by our trusted regional partner dive instructors. Dive the reef to try different tours and visit the best hotspots. Explore underwater worlds like never before! You can now not only purchase each map individually but also subscribe to our annual plan for $3/month. 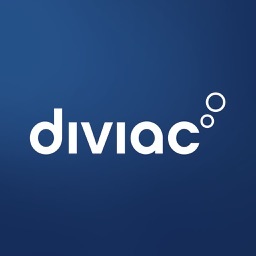 After a 12-month period your subscription will be auto-renewed within 24 hours of expiration.